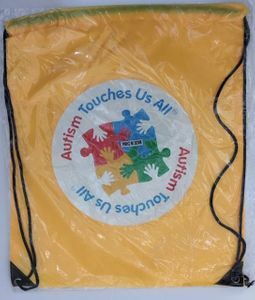 Autism Touches Us All Drawstring Backpack. Yellow lightweight drawstring backpack. Reinforced corners, wrapped in plastic and measures 14" x 16".